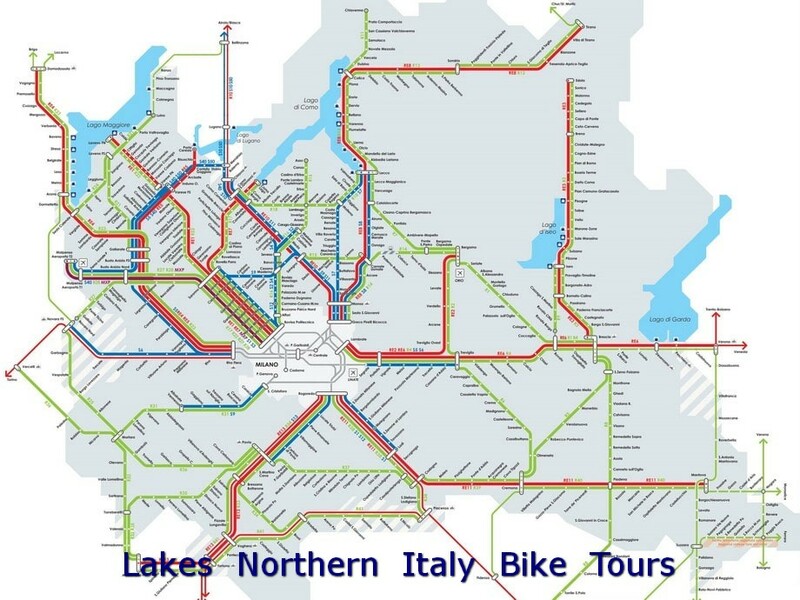 Find all the information you need about trains and stations in Northern Italian Lakes around Lake Maggiore, Lake Lugano, Lake Varese. Take an overwiew to the railways map on Google Maps. An option to get around during your stay is by train . It's also a great way to get from the airport to the lakes if you don't hire a car. If you want to explore the railway travel information, then the timetable can be found at departures and arrivals. Remember to validate your ticket before getting on the train. You needn't pay if the bike is packed in a bike bag. You must pay 3,00 euro if the bike is set up. Our Tourist Information Centres are a source of inspiration for customers, with friendly and knowledgeable staff on hand to share their passion and enthusiasm for our lakes. A visit or email to one of our two main Tourist Information Centres will provide you with all the information you need to make your visit here an unforgettable experience. Info Point Varese - Piazza Monte Grappa, 5 - 21100 Varese - Tel. +39 0332.281913 - E-mail: infopoint@comune.varese.it - Opening hours: Monday - Saturday: 9.30 a.m - 1.00 p.m. and 2.00 p.m. - 5.30 p.m.
Info Point Luino (on Lake Maggiore) - Viale Della Vittoria - Tel. +39 0332.53.00.19 - E-mail: infopoint@comune.luino.va.it - Opening hours: Monday - Saturday: 10.00 a.m - 1.00 p.m. The navigation on Lake Maggiore is a local public transport service, carried out by two companies (Navigazione Lago Maggiore and Lake Locarno) and subject to a strong seasonality. You can plan the route, with timetables and map. To help you make the most of your stay in Northern Italian Lakes we have put together a guide, packed full of information about all the tourist attractions to see during your stayin Northern Italy's Lake District.